TED is owned by the Sapling Foundation and was the brain child of former magazine publisher and entrepreneur Chris Anderson in 1996. The Sapling Foundation is a non-profit corporation and TED Talks have had over 300 million views since 2006. The motto behind this organization is “Ideas Worth Spreading.” What’s really cool is TED is free to join and one may find they are mesmerized with all the subjects, inspirational offerings and even life lessons learned via watching a talk or two. Basically, if your idea is accepted, you have 18 minutes to stand up, speak and deliver the best talk of your life. Scared? You shouldn’t be. What you should be scared of is not participating in a really great idea for a TED Talk. An article on BNET by Jeff Haden pointed out he had an entrepreneurial friend who when presented with the idea of TED said, “I don’t have anything worth saying.” Haden warned about his friend “He’s wrong. He does.” And, so do you! Instead of thinking why a TED Talk wouldn’t help your business, let’s take a look at how it can help. 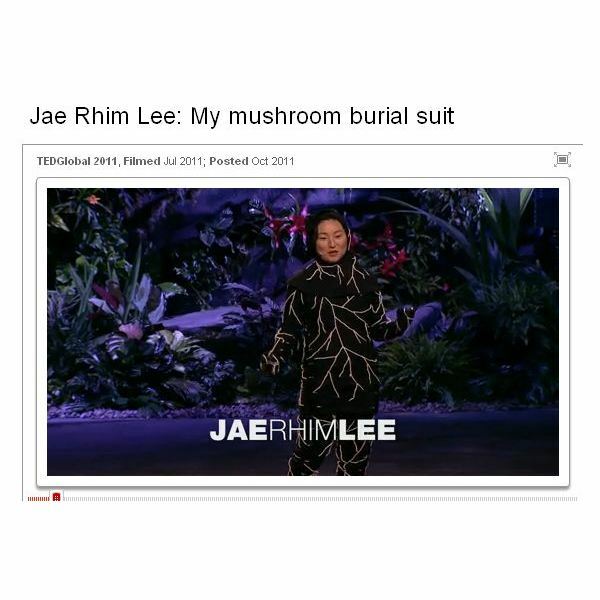 TED isn’t just about technology, design or entertainment, although many of the talks are entertaining such as the one by Jae Rhim Lee: “My Mushroom Burial Suit” (Screenshot seen at right). Talks are all about storytelling to get your message across, not necessarily advertising or promotional tools but insights, ideas, observations and probably the most I’ve seen when reviewing the various subjects—a passion about something, anything actually. There’s the Steve Jobs talk on how to live your life and that’s inspiring. There are talks on business, science, cultural, the arts and global issues. Surely the story inside you fits in one of these categories or the main ones (technology, entertainment and design). Think of TED Talks as a smart and savvy way to tell your story instead of the often mixed mash of videos on YouTube. 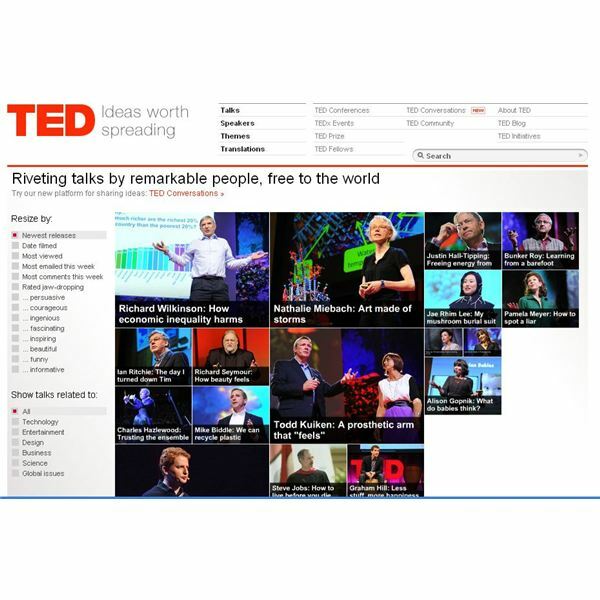 Most TED Talks are videos taped at special TED events or at the annual TED conference, however, the website does say it is looking to implement talks from other social media sites—and TED does have a YouTube channel where talks can also be accessed (other than the TED website and TED is free to join). I’ve included some helpful TED resources at the end of this post to aid you on how to begin your TED journey. Managing editor, Michael Hartman from Bright Hub and innovator of online games (Frogdice, Inc. ) instead opted for what TED call TEDx Events. Actually, per TED’s guidelines, TEDx event ideas must be submitted by an organizer (see the help on TEDx events link in the references section) and an organizer can mean anyone, from anywhere, as long as you go through the submission process—you’ll also find the rules on that in the TED links below. A cool feature about TED talks is they are sharable and all fall under a Creative Commons License. I asked Michael about his experience at the TEDx event he participated in TEDx (Lexington) titled “Playful Innovation.” Michael told me organizers of events, such as the one where he spoke, invite speakers and the talks are taped and anyone can register online to attend an event; prices vary. The subjects behind all TED talks and events are vast, exciting and innovating, but if you did participate, what would you talk about? If I were to participate in a TED talk I’d want to spread the word about what I know best and what I feel I could teach the audience. For example, I’ve been an entrepreneur for years (the auto industry), but I couldn’t get up there and talk about why it’s better to buy a Chrysler product over a Ford product—that’s more advertising and promotion that’s not what TED is all about. What I might pitch is talking about is why the average consumer is afraid to step into the showroom and meet those pushy salesman. Offer up what the dealer won’t tell you when buying a car sort of scenario. I could certainly fill up 18 minutes of tips and suggestions, push my talk through social media circles (where my website and business are listed), and sit back and wait for comments and new customers. Really? You own a car dealership and you’re telling people how not to get ripped off? What is this, Kris Kringle in Miracle on 34th Street telling shoppers to skip Macy’s and buy toys somewhere else? Exactly my friends. Again, Jeff Haden in his BNET article “Why You Need to Deliver a TED Talk Now” has another option for those of us who are a little camera shy or hate speaking in front of a group. Create your own TED talk, even if it’s a message to your employees, your customers or a talk all about your vision, dreams and goals. Haden suggests making an outline on the topics you want to cover because you absolutely must stick to the rules of TED and open Windows Movie Maker and start talking. I recommend browsing a few talks and even signing up to follow them on Twitter before you make your own personal message. I also recommend considering a couple takes or two on Windows Movie Maker. For example, say you’ve got a message on why your business dreams and goals are so much better than all the competitors in your area. You’ll need to ensure you’re accurate on statistics and you may need to brush up on presentation skills a bit. 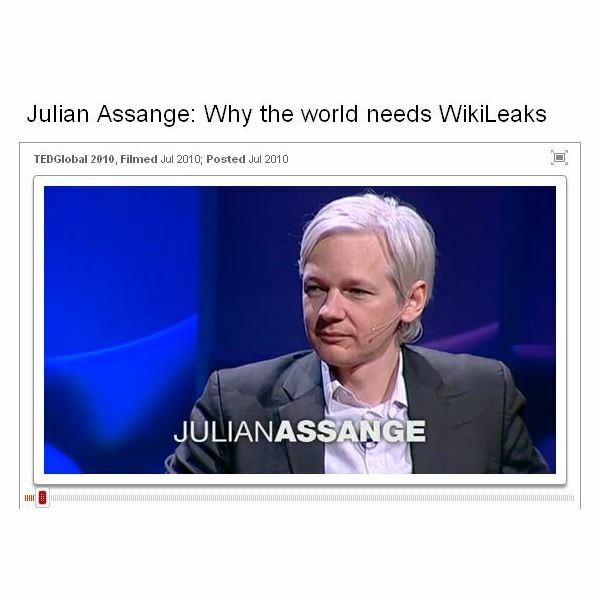 I’ve offered up what I’d talk about if I could on TED, but what would you discuss? Would it be a dream you have, an idea? Or, perhaps you have a message you want to convey? If you’ve done a talk on TED I’d love to hear from you too! How was the experience, would you do it again and if so, would you change anything? TED Up here and let’s “talk” about TED and what you would say! 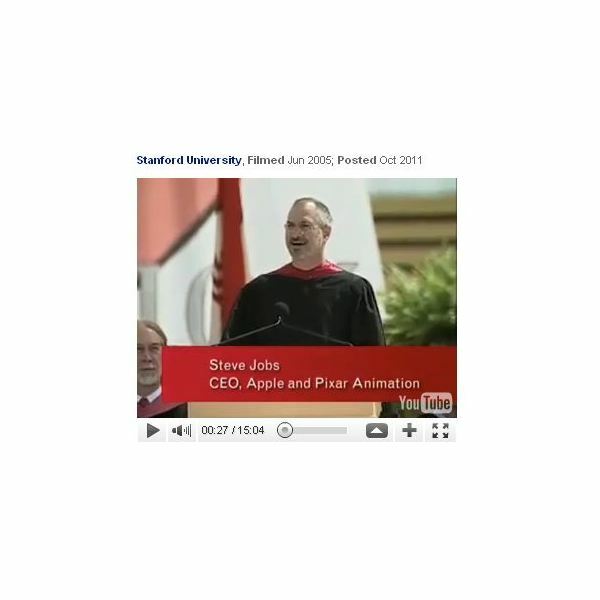 Screenshot TED Talk by Steve Jobs at Standford / C.C. BY-NC-ND 3.0 License. Haden, Jeff – BNET “Why You Need to Deliver a TED Talk Now” October 10 2011.